CEIL recruitment 2018 notification has been released on official website www.ceil.co.in for the recruitment of total 02 (two) jobs out of which 01 (one) vacancy for Senior Officer (Finance & Account), 01 (one) for Senior Officer (Company Secretary) vacancy. Apply before within 15 Days from the Date of Publication. 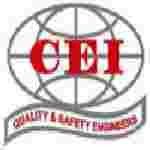 Here on this page you will get the details like the Name of vacancies released by CEIL with exact number of posts. Some other criteria like Education details, application fee and way to apply application for CEIL recruitment 2018. Educational Qualification: Graduate (full time minimum 50% marks) from a recognized University having professional qualification as Chartered Accountant (CA) from The Institute of Chartered Accountants of India OR Cost Accountant (CMA) from the Institute of Cost Accountants of India for S.no-1. Graduate (full time with minimum 50% marks) from a recognized University with Company Secretary (FCS/ACS) Qualification from the Institute of Company Secretaries of India for S.no – 2. Interested and eligible aspirants may apply in prescribed Bio-data with relevant documents send by E-mail to hr.fao1@ceil.co.in on or before within 15 Days from the date of Publication.